(iii) those basic text sections of Volume A that are necessary for the understanding and handling of space groups. 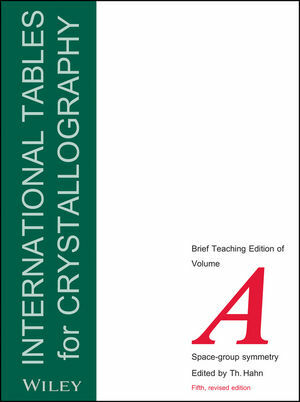 This volume is designed for use in classroom teaching, and also serves as a useful laboratory handbook because the 24 examples include most of the frequently occurring space groups, for both organic and inorganic crystals. Professor Theo Hahn, Institut für Kristallographie, Rheinisch-Westfälische Technische Hochschule Aachen, Germany.